Want to bring in the holidays in style? Join us on the Canfield Green for the Lighting of the Green. This year, the Lighting of the Green will be on Friday, November 30, starting at 6:30 PM. This free event is put on by the Canfield Rotary Club and our many sponsors. There will be over 150 trees this year. We will be signing Christmas Carols, having horse drawn buggy rides, and of course, Santa will be there. Come join us on Sunday, November 4, for a Pancake Breakfast at the High School. Rotarians are selling tickets around the community, but you can purchase tickets at the door as well. Come for the great food, the great fun, and to support community projects. The flags will once again go up across Canfield as part of the Fly-the-Flag program of Canfield Rotary. This time the flags will be going up to celebrate Veteran's Day. If the weather cooperates, we will try to have the flags up by election day (November 6th). Flags will start going up on November 1, but given the limited amount of light and the rainy weather they we have been having, it is unlikely that all the flags will go up in the first couple of days. Aurélie Piret, our exhange student from Belgium, caught a plane yesterday for home. Aurélie was an incredible exchange student—friendly, poised, outgoing, and an incredible ambassador for her home country of Belgium and for Rotary. Before she left, we had a party for her at the Fairgrounds, with a beautiful cake baked by Leslie Butler from the club. And over the Fourth of July holiday, Aurélie helped the club with both the fireworks and with our float in the parade. Although not all the figures are in, it appears that the Canfield Rotary Club has, for the second year in a row, broken the district record for highest per capita giving to the Annual Fund of the Rotary International Foundation. The club has also had the highest giving to the Annual Fund in the district for 4 of the past 5 years. The club's per capita giving was just over $450 for 2017-2018. That is more than double the next highest club for giving. The Foundation Chairs (John Morvey and Paul Sherba) set a stretch goal of a dollar a day, but with the aid of several major donations from members, they exceeded that goal by more than 25%. The club set a new record last year when club member Sieglinde Warren was district governor, and the club broke that record this year when club member Mike Raulin was district governor. Part of the money donated to the Foundation is returned to the club in three years, and the Canfield Rotary Club has used that money to support several major projects in Canfield, including replacing the Canine Unit dog for the Police Department, upgrading the War Vet Museum, and wiring the Green for the Lighting of the Green and for other events on the Green. Each year, Rotary clubs around the world swear in a new set of officers. The Canfield Rotary Club will be swearing in their new officers on July 13 at their President's Changeover Dinner to be held at the Kensington Grill. Although the swearing in is on the 13th, all the officers took over their new positions on July 1. The incoming president is Anthony Nacarato. He will be taking over for Margot Baird, who served as president for 2017-2018. Canfield Rotarian Mike Raulin, who stepped down as District Governor on June 30th, will swear in the new officers. The Canfield Rotary club will once again be putting on a free fireworks display at the Canfield Fairgrounds on Saturday, June 30th. Gates will open at 6 PM, with the fireworks going off at 10 PM. J.D. Eicher will be performing starting at 8 PM, and we will have lots of activities for young children, including pony rides, photo-ops with Disney characters, and World Champion Boomerang demonstrations. Walk-ins are free. 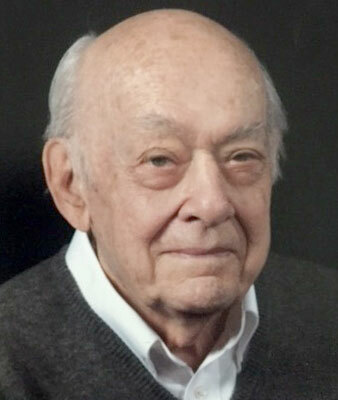 Harold Reed, longtime member of the Canfield Rotary Club, passed away in December of 2016. In his honor, his friends and family have started a memorial scholarship in Harold's name. If you would like to contribute to this scholarship fund, you can send your check to the Canfield Rotary Club (P. O. Box 11, Canfield, OH 44406). Make the check out to Canfield Rotary Foundation, with a notations saying Harold Reed Memorial. If you would like to know more about this scholarship, contact Mike Raulin at 330-518-5233 or mikeraulin@gmail.com. The Canfield Rotary Club recently launched a new website dedicated to our Holiday Flag Display Service.